This special Harry Potter Walking Tour of London visits many of the memorable locations as seen in the Harry Potter movies. As we say in the U.K. this tour kills two birds with one stone as we visit some of the most famous Harry Potter locations London has to offer whilst other places are much harder to locate and much less visited by most Muggles. Harry, Hermione and Ron apparate here to escape the wedding. During the course of this 3 hour tour we will visit locations on foot and by tube where Harry, Hermione and Ron actually visited as well as others that were the inspiration for J.K. Rowling when writing the series. As much as is possible for Muggles, we will visit where the Leaky Cauldron is and the real life Diagon Alley. We’ll see where the Death Eaters launch their attack and follow the route that Harry, Hermione and Ron take to escape after the wedding. Whether you want to know where the Ministry of Magic or visit Gringotts bank then this tour is for you. Of course, we will finish off by visiting Platform 9 3/4 with the newly opened nearby Harry Potter store. 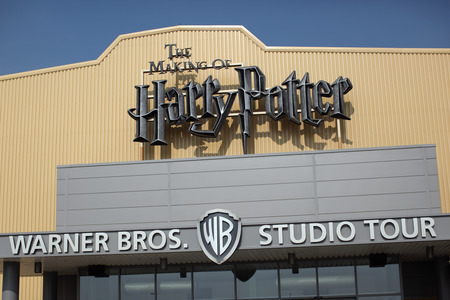 Your tour guide lives right next to Warner Bros. Harry Potter Studio tour and has even had people from the movies stay at his house on Airbnb.